Although looking good, smelling good, and enjoying a nice lifestyle is important, giving back to the community should never be overlooked. The For Him For Her Project is a non-profit organization, founded by Joshua Wilson (founder of Modern Man Supply Co.). As part of the project, Modern Man Supply Co. will donate 10% of the profits, from the sales of items for men, to various women's organizations. At the end of each quarter, Modern Man Supply Co. also contacts all of our partnering companies and informs them of the amount of donation made, based on the sales of their particular products. Our hope, is that our partnering companies will contribute or match all donations. Modern Man Supply Co. has several partnering companies with that also produce products for women. We will also be working with these companies to obtain feminine products to be donated to local women's shelters in the greater Kansas City area. Our goal is to build and expand this organization to include not only Modern Man Supply Co., but the companies that we work with and any member of society that wishes to participate. 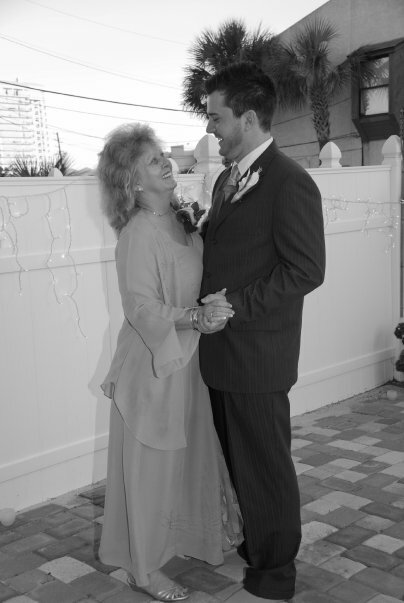 "Behind every great man there's a great woman"
Joshua Wilson (Founder of Modern Man Supply Co.) with his mother in 2008.